One of the last Italian nuns to have published her works in the 17th century was Bianca Maria Meda (1661?-1732-3), a nun at the Benedictine convent of San Martino del Leano in Pavia. Virtually nothing is known about this composer, but her Mottetti a 1-4 voci (Bologna, 1691) are of considerable significance and beauty. The collection contains ten motets for 2, 3 and 4 voices, in addition to two works for solo voice accompanied by two violins. This recording brings to life Meda’s remarkable compositions for the first time in over 3 centuries. The forces involved include 9 female voices, two violins and a full ensemble of basso continuo instruments. 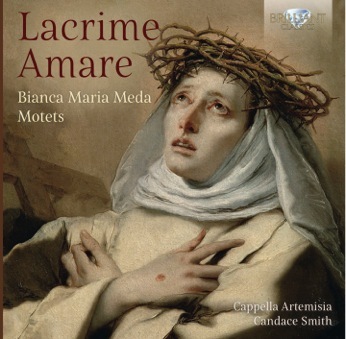 This CD is the ninth recording by Cappella Artemisia, and shines yet a brighter light on the vibrant world of music in Italian convents of the Seicento. 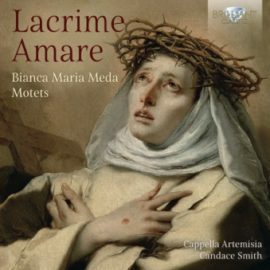 In this task, we are delighted to be able to provide testimony to the excellence and uniqueness of the music of Donna Bianca Maria Meda, a singularly inventive and unjustly forgotten composer.